It is understood the National Development Plan will see an investment of €115 billion in the country's infrastructure over the next ten years. The plan was discussed in detail at the Cabinet meeting this evening. It will be backed by Exchequer funding to the tune of €90bn and a further €25bn will come from commercial State-owned enterprises. 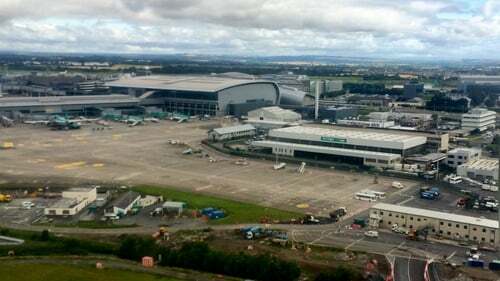 The projects set to benefit include a second runway at Dublin Airport, the building of the M20 motorway to connect Cork and Limerick and the expansion of the DART. There will also be investment in regional airports and school buildings across the country. Priorities in health include the building of a new National Children's Hospital and a National Maternity Hospital. There will also be a Rural Regeneration and Development Fund to increase investment for projects in rural towns. New communications technology for gardaí is also a priority, as is funding to help Ireland reach its climate change goals. The Government is understood to be focusing this plan on social objectives rather than hard economic targets. Earlier, Taoiseach Leo Varadkar said that the National Planning Framework had to be realistic to avoid the mistakes of previous plans that promised too much. The Government also held a special Cabinet meeting about the new National Planning Framework intended to inform all planning, infrastructure, and spatial strategies over the next 25 years. The document is to be published alongside the Government's ten-year capital investment plan in the coming weeks. Mr Varadkar said it would be very easy for the Government to sign off on a plan that promised to turn every second town into a city and every village into a town. He said that the framework will plan for a country with an extra million people in it, that it would aim to rebalance growth and development away from Dublin to other cities, and to reverse population decline in rural Ireland. Dublin, he said, would have to "grow up" and not "out". "If we don't have a plan, or a plan that is not credible, then we will just continue on the same trajectory that we are on now and in that scenario everyone is a loser," he said. Opposition politicians have been highly critical of a draft version of the framework, accusing it of leaving rural Ireland and towns outside of the main cities behind. Over the next 25 years, Ireland is expected to have an additional one million people, to need an extra 600,000 jobs, and half a million homes, while the number of people aged over 65 will double. How to accommodate all of that while coping with social, economic, cultural and environmental change in a balanced and coherent way is what the NPF is supposed to be about. The plan, however, has been accused of being too city-based because it gives very specific focus to the largest towns but is much more vague about the rest of the country. For instance, it targets that Dublin will grow by 25% with an extra 265,000 people, while Cork, Limerick, Galway and Waterford will be primed to grow by 50% to 60%. Against this, just 16% of the population growth is earmarked for large towns, which is defined as those with more than 10,000 people. Many in rural Ireland are fearful that the focus on cities in the new strategy will result in smaller towns, villages and rural communities being overlooked for infrastructural improvements and public investment over the next 25 years while larger cities continue to flourish. Minister for Rural and Community Development Michael Ring has said 75% of future growth will be outside of Dublin and the Government wanted to make sure that people can work and live in rural Ireland. Speaking on RTÉ's Today with Sean O'Rourke, Mr Ring said people need to be moved out of cities and into growth towns. This, he said, was included in the plan. He said he had no doubt that rural Ireland has a bright future. Meanwhile, Fianna Fáil's Spokesperson on Regional Development said 30% of the Irish population who do not live in a town or village seemed to be starved of any investment, such as broadband, in the plan. Speaking on the same programme, Eamon Ó Cuív said the plan seems to be putting a limit on people living in dispersed settlements around the country. Business group Dublin Chamber has called on the Government to ignore what it described as "populist scaremongering" regarding the new strategy and to stick with the growth targets set for regional cities and towns. The Chamber has warned that successful regional development requires a national outlook, not a parochial one and that any attempts to constrain the growth of Dublin will put jobs and investment in all regions at risk. Over 300 people have turned up at a public meeting in Athlone to hear dissenting views about the first draft of the Government's new 2040 planning strategy. Business groups, farmers and local elected representatives throughout the west and midlands are present. The meeting, which is now under way, will hear from TDs Michael Fitzmaurice, Alan Kelly, Eamon O'Cuiv and Martin Kenny. Arriving at the meeting, several representatives of farming groups were strongly critical of lack of consideration for the regions in the first draft of the documents published before Christmas. Some people also expressed the view that the meeting tonight should have been deferred to allow consideration of the latest draft of the strategy that was under consideration at a cabinet meeting today.